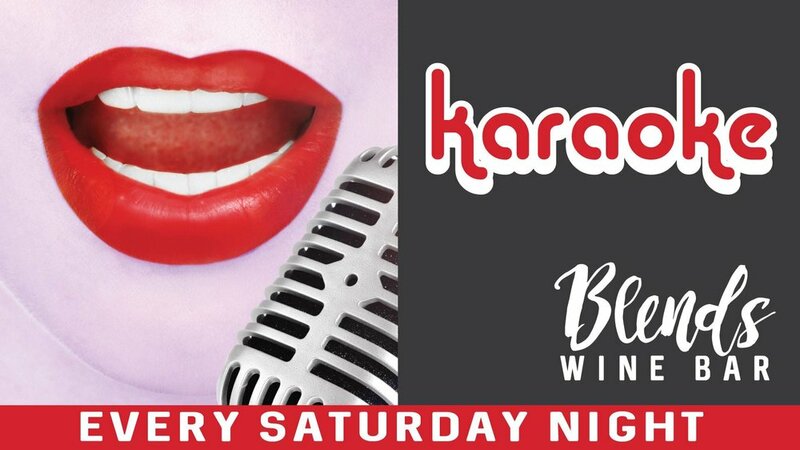 Join us every Saturday night for Karaoke! Wine, Women & Song: April 7, 2019 from 4 to 6 p.m.
Let’s hear it for the girls and from the girls!!! This party is just what its title says and it’s just for women. 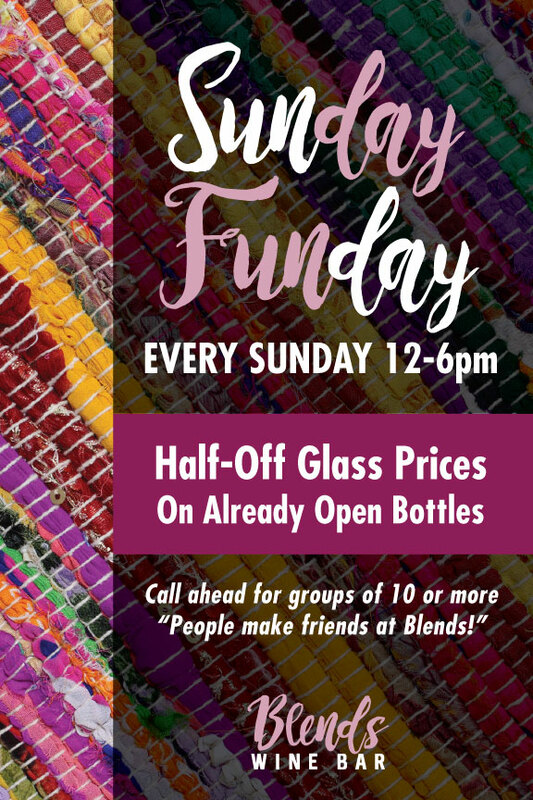 Spend a couple of hours on a Sunday afternoon with friends and colleagues at Blends in Belton...share a glass (or two or three) of wine and delicious appetizers. You’ll be entertained by live music presented by talented women from our area...and you might even feel like singing along with them. The event limit is 50. Ticket price is $40 per person and rides will be provided for those who have too much fun! Contact: Lara for more information and reservations/tickets at 262-391-5790. Acoustic covers of 90s R&B, grunge and rock hits. $5 cover | 21 and over welcome. 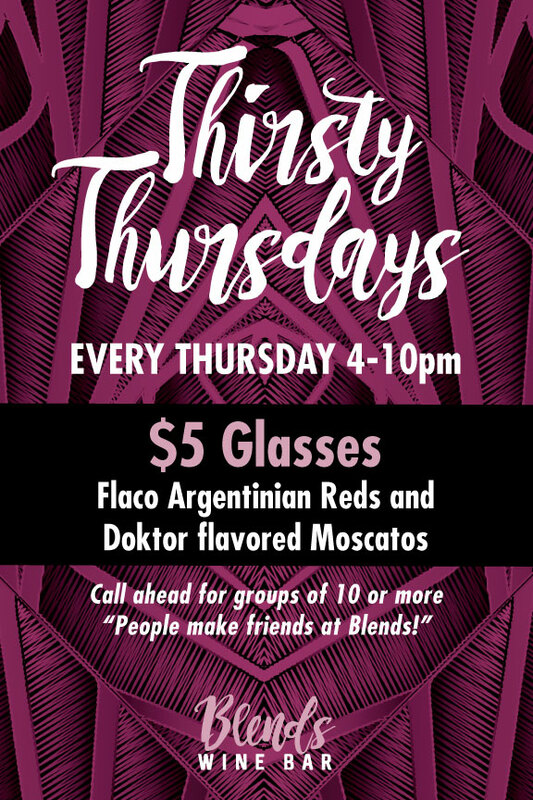 $5 glasses or our Flaco Argentinian reds, and our Doktor flavored Moscatos ALL NIGHT LONG! Visit www.blendswinebar.com or call (254) 613-4739 for more info.